My husband happened to be in New York City for work a few months ago, and he happened to pass by Jacquelyn Wig's headquarters. Being the great husband that he is, he went in and told them his wife was "Chavi" of AskChavi and he asked if he could take some pictures of their showroom. After checking with the management, they allowed my husband to take pictures (even though they hadn't heard of me!). DH was also able to introduce himself to the management team which allowed me to set up a phone call with George to learn more about Jacquelyn Wigs. 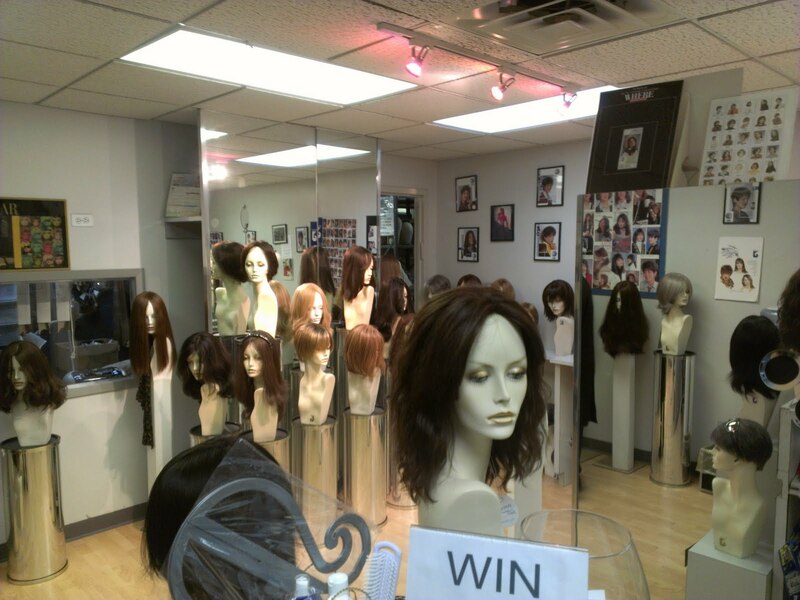 I learned a lot about the wig industry and how Jacquelyn Wigs distinguishes itself. I will share some things I learned during the highly informative call.
" If the hair is not handled properly throughout the whole (wig-making) process. If (the worker has) 8 oz of hair 20 inches and she might start working it, hand ventilating it in and if she takes a lunch break and comes back and forgets which end is up then there will be a serious knotting problem. After the first wash, these wigs can be identified." "Knowing where to shop and buying from the right place (is important). Many People do not know what they are doing and they are buying because their friends are buying - certain length, certain price = bargain and grab it. They don't think about whether someone is standing behind the product. and when later at home the can't style it properly the customer realizes they are stuck with a lemon." Jacquelyn Wigs manufactures various quality levels of wigs because they cater to a broad segment of the wig wearing population. From synthetic, synthetic human blend, processed human hair, and the finest Russian hair. Their basic hair wigs are "European Textured hair"(that is human hair that has been processed to feel like European hair but at a much lower cost(that hair the cuticles have been removed and hair has been colored). The more expensive wigs that they sell use higher quality hair and are processed differently. In today's wig market, the reality is that most hair is dyed or bleached, and this is part of the regular manufacturing process, however a customer could order a custom wig and specify that they want un-dyed hair(but costs could be astronomical). its extremely difficult to obtain virgin European hair for wigs due to developing economies in Eastern Europe and women in these previously poor countries no longer growing their hair really long and selling it to hair buyers. Plus most women all over the world tend to dye their own hair so its already not natural color. Hair quality and length is still the #1 determining factor in a wig's price, followed by cap construction. The more hand-sewn parts of the cap, the more expensive. Blonde all natural hair is the hardest to find and hair suppliers are struggling to obtain virgin blond hair in long lengths. I wanted to know how long wigs typically last. 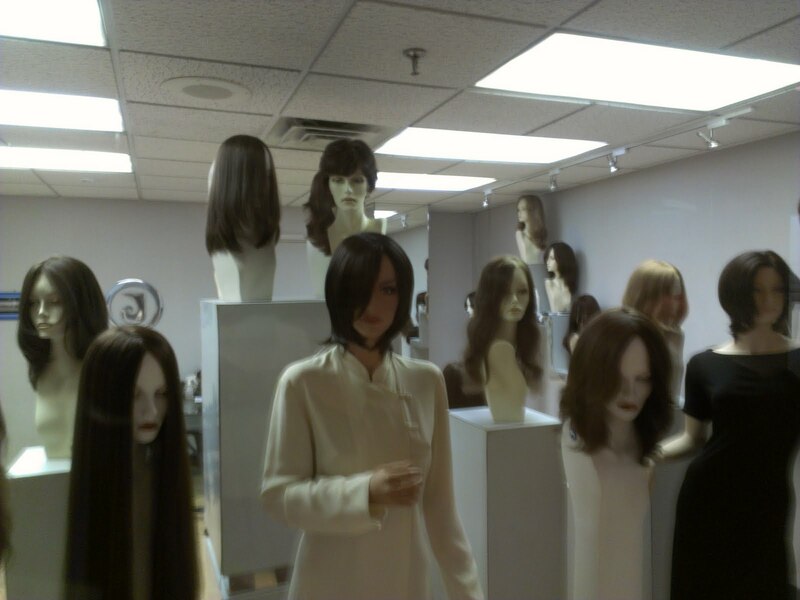 He said that their synthetic wigs are made of varying fibers and their higher quality fibers can last a year or two. Human Hair Blends hold up very nicely, some have lasted 2-3 years, but so - but there are ways to restore them to their original state. Some poorly made synthetics that some companies offer are truly garbage wigs that last for two months only (this usually reflected in their cheap prices). Getting 2-3 years out of a human hair wig should be expected, but it may need to be colored or deep conditioned during this time. "People say that Jacquelyn Wigs has the best hair, they (the hair sourcers) travel the world to collect the hair.George says that buying hair is like buying a mink coat or diamond ring - As an example you could walk into a store selling Mink coats and you can see coats for $800 up to$30,000.In most cases the average person looks at the fur and cannot tell the difference, similar with hair - most people cannot tell the difference. You are buying the quality of the wig and you are buying the styling and the trust of the company selling you the wig .Even the most expensive wig if styled poorly can look like a cheap wig. Not every girl needs a $3000-$5000 wig. When Jacquelyn started in 1969 synthetic wigs were becoming popular. (These women) had custom wigs at the time for $1200 (but) they wanted the new synthetic wigs because they were easier to maintain and much cheaper." How often should a wig be washed? : We suggest that a wig worn every day should be be washed every 2-3 weeks(depending on the seasons of the year). if you are wearing it everyday. Some women wash their own wigs improperly or give it to someone inexperienced there by getting poor results- using the right products on a wig makes a big difference. Too much hair spray, too much mousse can hurt it. Some heavy oils make the hair clumpy and not natural looking. 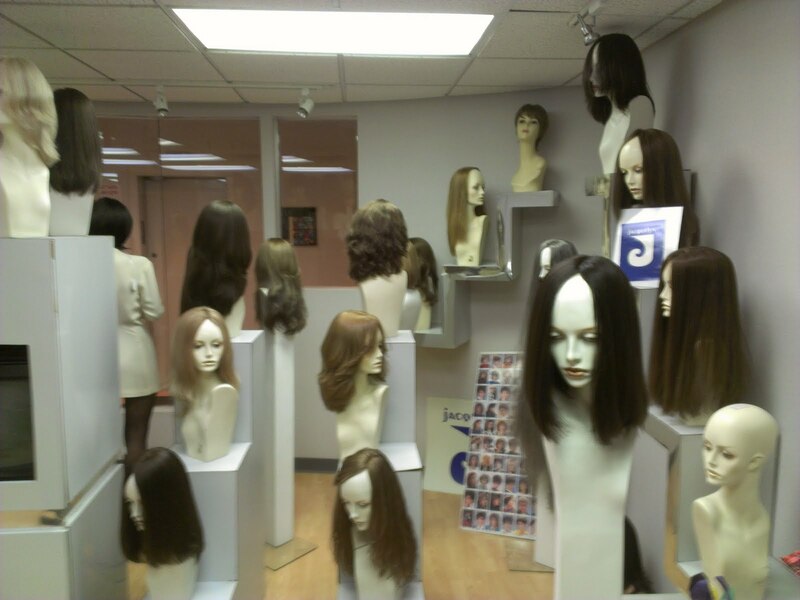 In addition to being able to purchase Jacquelyn Wigs in their salon and online, Jacquelyn Wigs manufactures and sells their wigs to stores all over the world. They also manufacture private label wigs.